Click here for a free sample of Rachael Ray Nutrish Premium Dog Food. Nutrish is made with natural ingredients for better nutrition. Sample courtesy of Walmart. To Help You Sleep Better, Perhaps This Will Work?? Having trouble sleeping at night...uncomfortable? Well this may help! 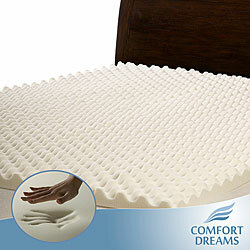 Overstock has this Highloft 2-inch Memory Foam Mattress Topper for just $39.99 (80% off) !! Plus, today only Overstock will ship this item for FREE!! The reviews are good too...4.5 out of 5 stars! A few years back we purchased a topper from Overstock and we still are just as much in love with it as the very first night we slept on it!! Ohh so comfy!! When I start thinking about eating a big gooey, yummy ice cream sundae on a HOT day that is!! I suppose the fact that the ice cream truck comes down my street once a day also makes my ice cream craze a bit harder to kick!! Well, just in case the ice cream truck does not frequent your street like it does mine, here is a great way to enjoy a sweet treat and a sweeter price!! Sign up for the Blizzard Fan Club and Dairy Queen will send you a coupon for a FREE Blizzard when you purchase one right to your email. It's Free to join and very easy to do as well. Click here to get started. Not sure if there is a DQ near you? Click here to find out! I Guess The Floor Does Not Pick Up After People?? I am assuming that anyway...going by all the crumbs, dirt, coupons, wrappers, leaves, etc. that have accumulated on the floor of my car!! I must admit...it has been about 3 weeks since the last vacuum and clean-up of the inside of my car...and boy Oh boy you can surely tell it needed it. I am almost too embarrassed to even post the before pics....but I will such a good sport and all!! Curious to see what others have tackled today? Head on Over to 5 Minutes For Mom to see!! Click here to request a FREE sample of the new Aveeno Nourish Hair Care Collection courtesy of Smart Sampling. The new Aveeno collection can bring damaged hair back to life in just three washes. Your sample should arrive in 8-10 weeks. Just in case you are planning on doing the Kellogg's Cereal Deal this week at Acme I had posted the other day here and do not have a coupon........ here is a printable coupon for Frosted Flakes. The coupon is for $1.00/2 boxes, it let me print 2! Simply press on the Earn Your Stripes Icon on the top left side of the screen and then click on the Fun and Freebies icon that will appear on the right hand side of the screen to access the printable coupon. It expires 4/30/09. So very sorry with the delay on posting this....these deals at ShopRite run through Saturday 4/4. Final Cost: $1.97 for 3 bags!! Get 2 Del Monte Canned Veggies FREE (up to $1.88)!! See any other great deals this week at ShopRite....post a comment to fill us all in!! Free single scoop of Ice Cream at Maggie Moo's Ice Cream & Treatery on Tax Day...April 15, 2009!!! You can read all about it here. 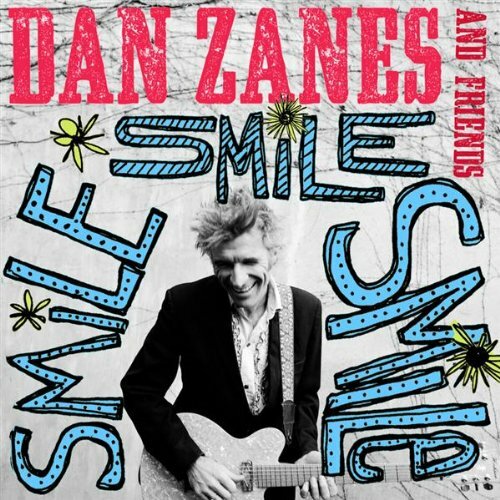 Free MP3 Download of Dan Zanes- Smile, Smile, Smile courtesy of Amazon here. Free Sample of Jergens Natural Glow Daily Facial Moisturizer here courtesy of Walmart. Today's Free Movie Rental RedBox promo code is :89ZQJ3. Just simply enter the code in the promo box when checking out at the kiosk and your one night rental is free for tonight!!! Remember the code is only valid until 11:59 pm tonight!! This week Wegman's has a few great weekly deals. The sale runs through next Saturday 4/4. -Wegman's Lean Ground Beef (90%) $1.99 lb. *Use the $1.00/1 coupon Print this coupon here for $1.00/any 1 A&H Laundry Detergent and pay just .99 for the bottle!! An awesome deal!! Toys R Us has their Little Tikes Toys Buy 1 Get 1 Free this week through next Saturday 4/4!! (Free item up to $29.99) This excludes Power Wheels and Little Tikes Juvenile items. This sale usually occurs just twice a year...now and in the fall!! No Toys R Us nearby? This deal is also going on in Babies R Us stores too...although the selection may be greater at Toys R Us. Just in case you are a Reynold's Wrap Aluminum Foil lover this is a great week to stock up on it....if you have a few coupons in your stash that is!! This week Target has Reynold's Wrap Aluminum Foil (75 sq.feet) on sale for $2.50. There was a $1.00/1 coupon in the insert. So after the coupon you pay just $1.50 OOP for the foil!! A great deal for 75 square feet Reynold's Wrap!! This week Acme Markets has a few great buys....Here are the the coupon match-ups for the week. This sale runs through Thursday 4/2. -Knorr and Lipton Sides 10 for $10 (Remember you do not have to buy 10 for this price!) **Use the .75/2 (doubles to $1) in the 1/18 SmartSource insert to pay just $1.00 for 2 packs! **Use the .70/1 coupon from the 2/22 RedPlum insert to make this deal even sweeter!! **Use the .50/3 coupon (doubles to $1) to pay just $2.00 for 3 boxes or .67 each!! **Use the $1.00/2 coupon from the 3/1 Red Plum insert to pay just $1.00 a bag!! **You can print a $1.00/2 coupon here making each can just 50 cents!! Remember to get the prices listed above you MUST purchase 10 participating items in a single transaction using your Club Card. There is no limit on the # of $5 rewards you can earn!! Little Man attends preschool each day for a few hours. He is required to bring in a snack and drink each day for snack time. When he picked out his lunch bag at the beginning of the school year....none of the ones he liked had a thermos in them. This was my first lunch bag purchase ever...so I am not even sure if any lunch bag sold these days included a thermos or reusable drink container. Am I showing my age or what?? All I have to say is Plastic lunchboxes rocked....way back then anyway!!! So I usually mix up his drinks for the week....water a few days, and a juice box a couple of the days as well. I do not ever send in milk as there is no refrigeration.......and I'd hate for it to spoil!! As I grabbed a juice box out of the fridge 2 nights ago to pack his snack...I noticed we were running a bit low on them.....I usually stock up when I can find a great sale on them (Which has been a little while)!! This week ShopRite has new Apple & Eve Fruitables juice boxes on sale for $2.99 (8 pack). There was a $1.00/1 manufactures coupon in the 3/1 SmartSource insert. I had 3 coupons so I decided to purchase 3 packs of them at ShopRite earlier this week for just $1.99 a pack after coupons. I was a bit skeptical....as Little Man loves juice, but Fruitables are made with a 100% juice blend that’s packed with fruits and vegetables. I was unsure as to whether his taste buds would care for the flavor or not....... I am a 100% juice only kind of buying Mom (No Kool Aid packs here)....but vegetable juice mixed in kind of made me wonder a bit?? he proceeded to tell me his little friend sitting next to him had the same kind of juice box as him....just a different flavor!! Not sure if his little friend having one made him like it even more....but we just got done packing his snack for tomorrow, and he was excited to see that I was placing another Fruitables in there!!! Just in case you were contemplating the Fruitables purchase.....it was kid passed here...with 2 thumbs up!! Click here to print a coupon for 40% Off the list price of any 1 item at Border's or Waldenbooks. This coupon is valid in-store only, and valid through tomorrow 3/28 only. So hurry if you plan to use it!! You will need to show your Border's Rewards card along with this coupon.....Don't have a Rewards card yet? Simply sign up for free here. How about a FREE soft pretzel? Then hopefully you have a Pretzelmaker/Pretzel Time near you!! Because on Sunday, April 26th, 2009 they will be hosting National Pretzel Day once again this year!! That means one FREE original soft pretzel per person from open to close at participating locations nationwide. Have you joined the Pretzelmaker/Pretzel Time Fan Club yet? It's free to join, and then you can be one of the first to know about special offers, get a birthday treat, and be in the know about anything pretzel!! Plus when you sign up for the fan club you get a coupon for a free original pretzel when you buy one!! You can click here to sign up, find a store near you, and more info! Sign up for an Office Max photo account and receive 75 FREE 4x6 photo prints with your first order!! No coupon code needed. You do have to pay shipping charges of $3.95 plus any applicable taxes. Still a great deal even with the shipping charges!! Need more than 75 prints......Here are their regular prices for prints. You can see all the details and get started here. Limited Too is becoming Justice...... Not to worry, you can expect to see the same great styles and quality, but at better more affordable prices!! I know Mom's all over will love that!! Right now Limited Too/Justice is offering a great coupon code for 30% off your ENTIRE online order!! Simply enter promo code 776 at checkout. With a little help from Mom or Dad, of course. This Saturday March 28th from 10am-11am Lowe's is hosting another Build & Grow Clinic. This week it is all about welcoming Spring and the kiddies will be making their very own Yard Mobile. It's free to attend, but you must register if you plan on attending. You can sign up very simply here. Can't make it this Saturday...not to worry, there is another Build N Grow clinic scheduled for Saturday April 11th from 10-11am where you can make a Birdhouse. You Can see lots more Wordless Wednesday photos over at 5 Minutes For Mom. Seriously, Who Would Want This Thing? That is what I had been telling myself for almost 3 and a half years. You see we had moved into our current home then and the nice gentleman that sold us the place left us a few of his unwanted items behind for us to have........generous of him you say?? I have been calling it a BIG, heavy, cement rolly thing for the past 3 1/2 years...it's actual name...I haven't a clue!! So just last week...a nice fella emailed me and said he could use this BIG, heavy,cemet, rolly, thingy and would love to come by and pick it up that day!! Yippee!! I must tell you I was doing the Happy dance!! He came taht day, and took it away....he was happy to have it, and I was so very happy to see it go...far....far......far away!!! So just in case you have a heavy cement rolly thing in your backyard, or something similar to it...here is the motivation you may need to list it on Craigslist.......there just may be someone who would love to have it...even if you do not know's it's name!! Curious to see what Works for others? Be sure to head over to We are THAT Family and find out!! Are You An Artisan Cracker Fan? What If You Could Make It At Home?? Are You A Ruby Regular??? It's Monday....Time 4 a Free Rental!! Want Healthy Looking Beautiful Hair?? Do You Remember Hidden Pictures?? BOLT-ing Off To Get One?? It's a Price Break Week!!! Arm & Hammer On The Cheap...Again!!! Perhaps Your Pooch Likes Veggies?? Who Couldn't Use a Giggle?? Little Chef In The House?? It's A Happily N' Ever After 2 DVD Giveaway!!! For a Clean and Yummy Smelling Baby!!! Your Pet Will Thank You!! Need a Few New Tunes To Add 2 Your Playlist?? Could You Use A New Spatula?? Do You Make Your Own?? All 4 Just $6.93 OOP!!! Thomas Make & Take This Saturday!! Kids Meal Deal....For 4 Days Only!!! Kraft & Starkist Deal at Acme!! An Easter Baskey Filler Perhaps?? Is It Time to Party? ?